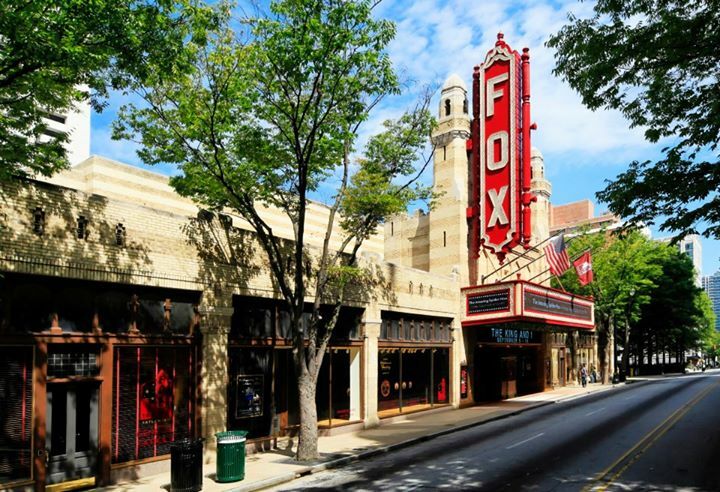 Inspired by the dedicated group of citizens who saved the Fox 40 years ago, the nonprofit Fox Theatre Institute (FTI) was launched to pay the incredible efforts of the “Save The Fox” campaign forward, to rescue other Georgia theaters facing disaster, and to help preserve a way of life fast becoming extinct. In keeping environmental and economic impact top of mind, FTI offers the financial assistance, restoration support, and operations mentoring needed to leverage scarce resources and stimulate local economies. FTI also manages Georgia Presenters, which has made more than 100 events possible in 53 venues across the state. Georgia Presenters is a statewide booking consortium that provides a vehicle for collective programming where presenters, theaters, and communities can work together to increase cultural opportunities in cities and towns statewide. Get involved with Friends of the Fox and help FTI help Georgia! For more information and to find out how you can help, visit www.FoxTheatreInstitute.org or www.facebook.com/foxtheatreinstitute. For more information on the 40th anniversary campaign, please visit www.foxtheatre.org/thelegend. Ticket Alternative Adds Major League Lacrosse’s Newest Team, Atlanta Blaze to Client Roster!